Celebrated worldwide as a rare cultural melting pot, drawing influences from as far away as France and Latin America, New Orleans prides itself on its joie de vivre, which makes it one of the most vibrant, exciting and welcoming business destinations in North America. The US’ Crescent City prides itself on giving its visitors a ‘lagniappe’ – a little something extra; a key feature of true southern hospitality. New Orleans’ distinctive, wide-ranging background and mixture of cultures makes it easy to weave the very spirit of the city into your business event, whether you plan to feature a second-line parade as part of your welcoming ceremony, or host a crawfish boil networking event to secure vital new connections. In addition to the city’s rich history and traditions, recent innovation and a thriving entrepreneurial ecosystem have earned New Orleans the nickname ‘the Silicon Bayou’. While continually maintaining its southern charm and exceptional flair for hospitality, the city has been named the coolest start-up city in the US by Inc.com, as well as the ‘biggest brain magnet’ by Forbes. With more than 22,000 hotel rooms and dozens of other venues and cultural attractions available within the downtown area alone, New Orleans is one of the most navigable cities in the country. Visitors can walk from just about any hotel room in the city and, within mere minutes, find themselves on the threshold of some of the world-class restaurants and attractions that the city is known for. New Orleans gives businesses and event organisers the chance to reward their top performers with unforgettable team building experiences. Travellers can learn Cajun and creole recipes at one of the city’s cookery classes, or enjoy a cocktail walking tour in the city where the popular drink first originated. New Orleans and the surrounding area are home to award-winning pro-calibre golf courses and an Indy-style racing track, where visitors are able to take a Ferrari or a Lamborghini out for a spin. The city’s relaxed ‘come as you are’ attitude means that it offers a significant number of exciting attractions, as well as unusual meeting places – from steamboats on the Mississippi River to Champions Square, a premier outdoor event space located just steps away from the Mercedes-Benz Superdome; home to the NFL New Orleans Saints. The Joy Theatre – which opened its doors in 1947 as one of only four movie theatres in the city – is a 10,000sq ft state-of-the-art facility that is able to host theatrical productions, weddings and a variety of other private parties. Elsewhere, Blaine Kern’s Mardi Gras World, where craftsmen meticulously create carnival floats all year round, can accommodate groups of between 10 and 10,000 people. For a more relaxed environment, Fulton Alley is a boutique bowling alley that boasts the very latest technology, offering innovative, customisable lounge space only steps away from Harrah’s Casino and the city’s French Quarter. Once business hours are over, visitors should loosen their ties and head into the heart of the city to experience the live music that the Big Easy is known for. In the jazz capital of the world, it’s not uncommon to see colleagues networking through the night over a signature cocktail, café au lait or a world-famous beignet. The city’s renowned restaurants or an early music show on Frenchman Street are sure to impress any potential client during their visit to the city. 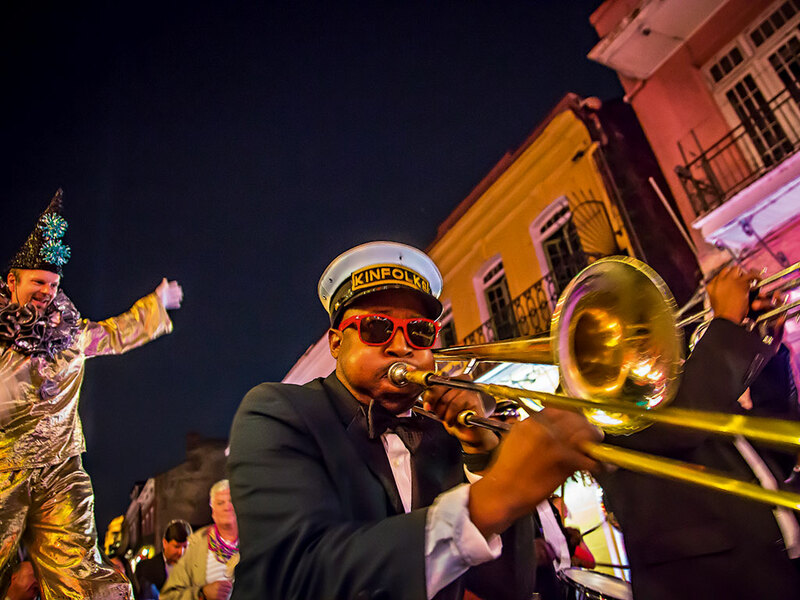 New Orleans is a hub of culture and innovation, and a leader in hosting groups of all sizes. Unique offerings, unmatched hospitality and a strong entrepreneurial spirit are just a few of the attractions that see conventions and businesspeople returning to the area year after year.